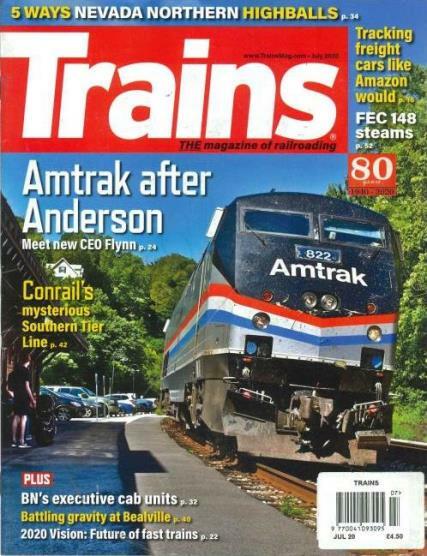 Each issue includes colorful articles about railroading, analyzing industry trends, developments, and hobby trains. Trains Magazine has something for everyone. Learn about today’s freight trains, passenger trains, or transit trains. Read about locomotives, technology, and stories about the past railroad system. Read cutting edge reports on advances in the rail transit and locomotives. Maps, photography and more are included in each magazine. There is nothing like the sound of a train whistle, especially in the evening. It brings a longing of travel and visiting faraway places. Rest and relaxation, or adventure and excitement. Something for everyone! Each issue includes interviews and news from seasoned railroaders. Each month, a train is highlighted, such as steam locomotives or the Amtrak. Pictures and information is provided to those excited in the railroading business. Prefer shortline trains? These are included too. Find out about contests and sweepstakes. You may be the next winner! Learn how trains are constructed from the manufacturer’s themselves. Detailed pictures and descriptions included in the articles along with track maps. Discover how the locomotive is maintained and kept running smoothly.